Laser Cutting POM Material : New Thickness and Color! POM which stands for Polyoxymethylene is coming out with good news for those who want to laser cut their projects. We offer you more possibilities to accomplish your idea with POM material: New Thickness and New Color. 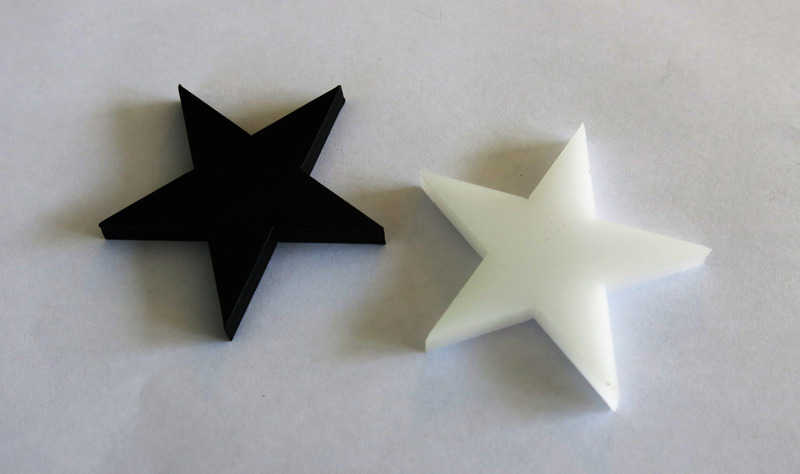 Natural white will no longer be the only color available for laser cutting your 3D model. Black is the new color available! Let’s take advantage of this new news to make a quick reminder about what is exactly the POM material? 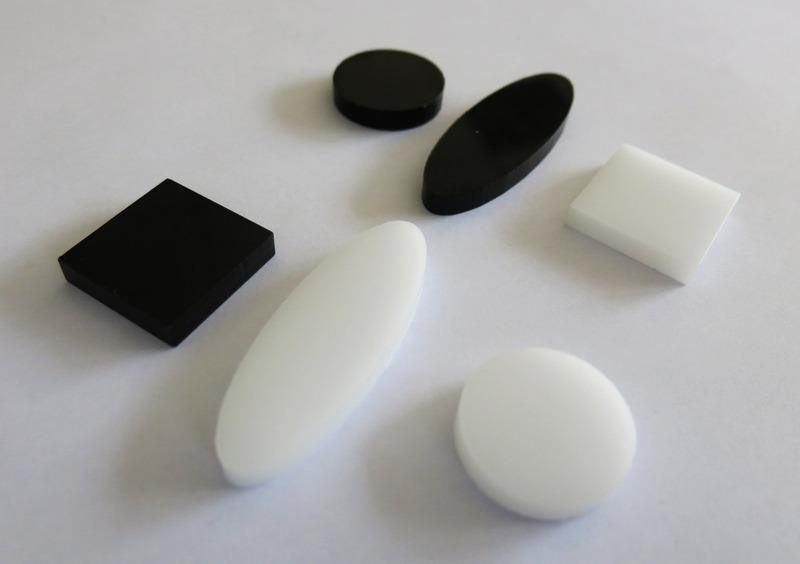 Often called Acetal or Delrin, this material is a technical thermoplastic with great engineering capabilities. It is resistant and has an incredible geometrical stability. During the cutting process, POM is not subject to any deformation and its smooth surface allows to achieve perfect cut results. What are the advantages of POM material? This material is recognized to be weatherproof and waterproof. Its high quality, ease of processing, design flexibility and durability leads POM to be used for thousands of products from automotive spare parts to gears, hinges, locks and many more applications. As POM has shiny surfaces, it is not recommended for laser engraving. Also as a result of the high temperature from laser cutting, some parts may get scratches easily and can be lightly burnt, particularly on edges. But you won’t need to worry, POM is resistant to many solvent products. You simply need to use acetone to remove the scratches. Learn more about POM material: uses and maintenance. You can also discover more details about our laser cutting POM material: Composition and Properties. 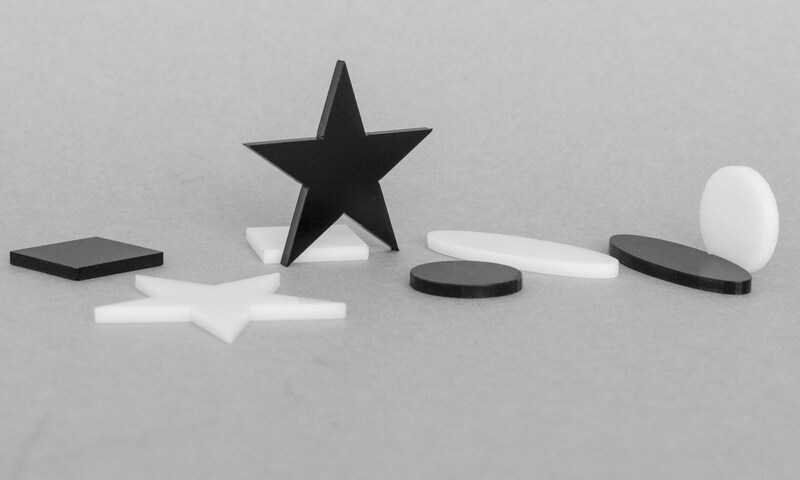 So are you ready to laser cut with new black POM material and new thickness? Start it now by uploading your file.